The Christmas season is a very special and enjoyable one in St. Joseph’s. We have Nativity Plays, Carols, Toy Sunday, Cake Sale, Christmas Shoebox appeal, visit of Santa Claus, etc. A special word of thanks to the Garda Band who visited us yesterday. Click on this link to see some photos(including some amazing art and craftwork!). More Carols Click here to see Christmas Newsletter. 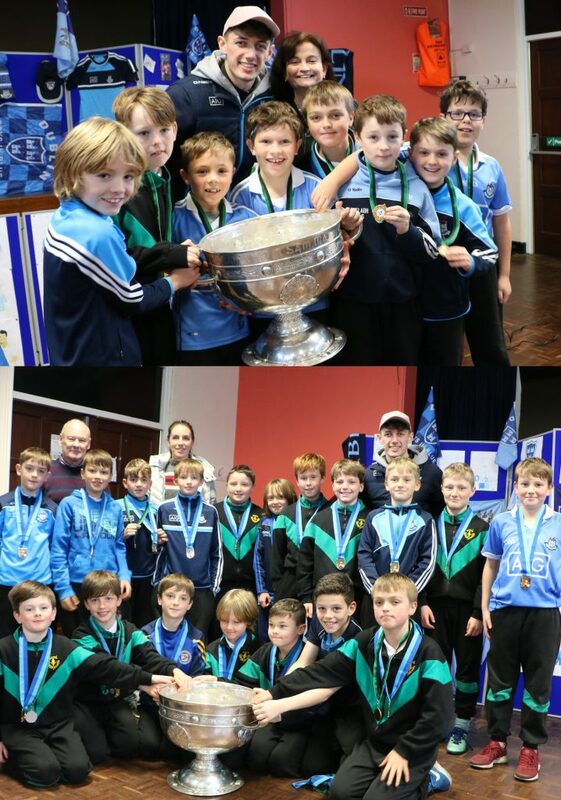 Today was Blue Friday in St. Joseph´s as Evan Comerford visited with the Sam Maguire Cup. Evan is the young sub goalkeeper with Dublin and played in two matches this year when Stephen Cluxton was injured. 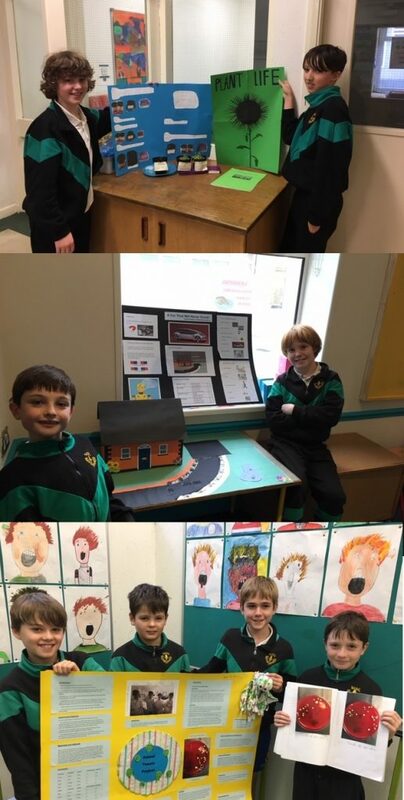 Sam was on his sixth visit since 2011, all witnessed by our present 6th class boys, some of whom were also happy to show off the Geraldine Cup they won recently. 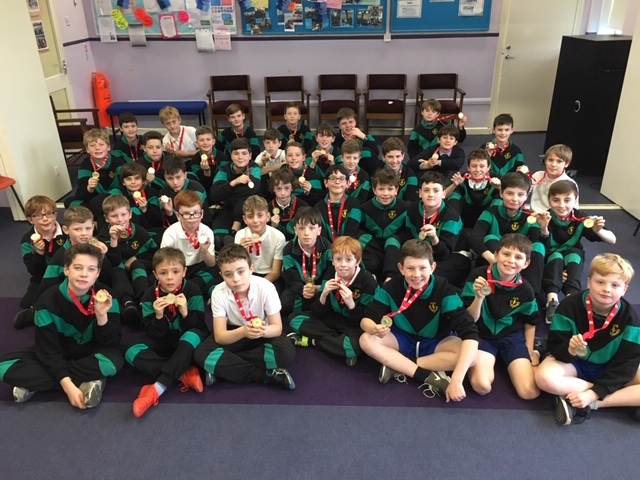 The boys who played in the 3rd & 4th class league and the successful school junior team, managed by Ms. Byrne & Mr. Hallinan were presented with their medals by Evan. More photos here (& a look back to 2011!). 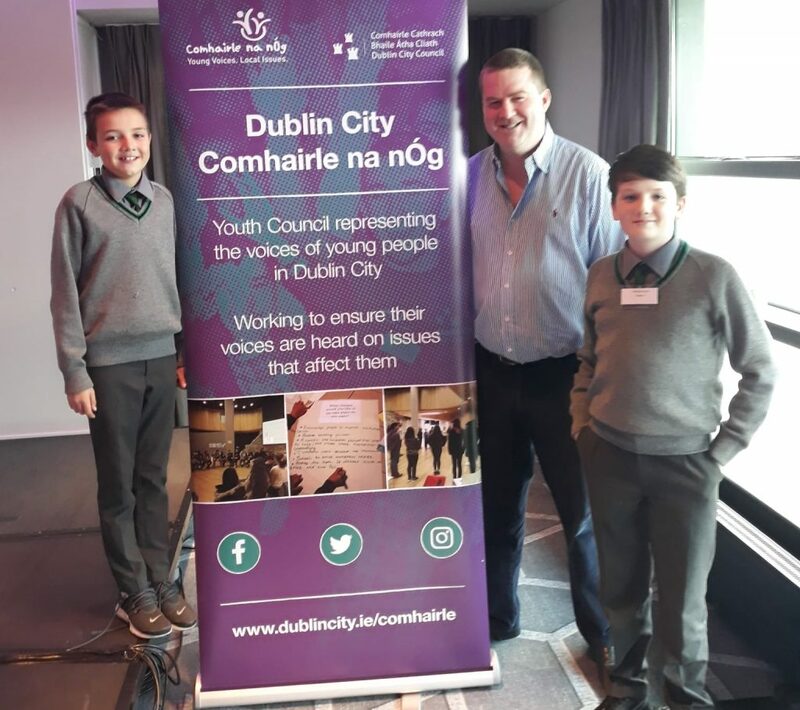 On Monday the 19th of November we attended the Dublin City Council Comhairle na nÓg A.G.M. in Croke Park for 12-17 year old children. Comhairle na nÓg is an amazing organisation that gives children a say on problems around the world and how we can tackle them. Last year’s topic was on mental health. We were given positivity boxes for our school whereby boys can choose a positive affirmation from the box whenever they feel they might need one. One of the things we looked at this year was global warming. We discussed how pollution from factories and cars goes into the atmosphere but a forcefield blocks it from developing into any dangerous substances. However at the rate we are building factories and cars, the forcefield will not be able to regenerate, therefore leading to our planet getting destroyed. We really enjoyed our day as we got to make new friends and we learnt a lot of interesting facts. morning! Click for more photos. Congratulations to our boys – all 40 of them who earned 150 points or more on Manga High. They were awarded a medal to celebrate their achievement. Well done everyone!